There will be two transmission options for the 2016 Optima. A six-speed Sportmatic Automatic will be available, as will an all-new seven-speed DCT. The Kia Optima adds one new engine option for 2016. In addition to the familiar 2.4-liter and 2.0-liter turbocharge four-cylinders, a 1.6-liter turbo will now be available. For both driver and passengers, the 2016 Kia Optima offers plenty of comfort features such as power-adjustable front-seats, heated seats, and Nappa leather seat trim. There will be plenty of great driver assistance technologies in the 2016 Kia Optima including an optional 360-degree Surround View Monitor, Blind Spot Detection, and more. New for the 2016 Optima will be the option of having either the Android Auto or Apple CarPlay infotainment systems installed in your vehicle. 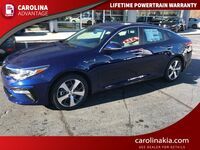 The Optima received a redesign for 2016 and now features a stylish European style exterior with new headlights and a reconfigured front grille. As our Kia vehicles have continued to rack up the awards and gain in popularity these past few years, there is really only one vehicle we can thank for this meteoric rise. That would be the Kia Optima, which has firmly established itself at the top of the midsize sedan category. However, with a brand like Kia you don’t simply stop once you have reached the top of the mountain. 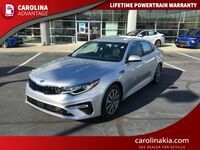 You keep pushing forward and doing things that others won’t, which is how we have arrived at the 2016 Kia Optima in High Point NC. 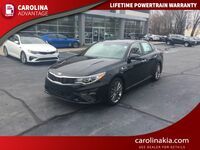 The last time that the Optima received a makeover this extensive was in 2011 and we all know how popular that model has been. 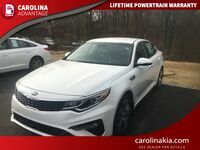 For the 2016 Kia Optima in High Point NC the designers have gone with a more European style approach, making the vehicle stylish and elegant, yet sophisticated and sporty. It is everything you could possibly want in a midsize sedan and then some. 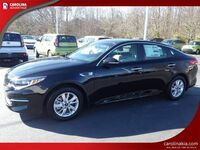 You wouldn’t normally expect to get the styling and features that you get with the 2016 Optima in a vehicle other than an upscale luxury car. 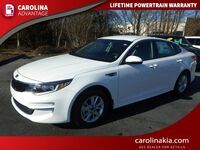 What surprised us more than the exterior changes to the 2016 Kia Optima in High Point NC was the redesigned interior. The vehicle has added plenty of great driver assistance technology to help prevent any accidents from occurring. In addition to a rear-view camera being available on all trims, systems like the 360-degree Surround View Monitor, Rear Parking Assist, Front Collision Warning, Autonomous Emergency Braking and more. The 2016 Kia Optima in High Point NC will also be the first to introduce the Android Auto and Apple CarPlay systems to the Kia lineup. Along with them, an all-new Harman/Kardon QuantumLogic Premium Surround Sound Audio System will be available. This system includes 10 speakers and a 630-watt digital amplifier. Other technology upgrades that drivers will enjoy with the 2016 Optima include two fast charge USB ports and an 8-inch touchscreen display.